Yogen Früz is the world’s leading frozen yogurt franchise. Operating in over the 35 countries, the company continues the tradition of providing customers with a healthy alternative to fast food that’s great tasting and nutritious – perfect for today’s healthy and active lifestyle. In 2007, Yogen Früz Canada Inc., long a pioneer in the Canadian frozen yogurt market, was looking to expand operations in the U.S. The market for frozen yogurt was exploding in California with the success of two key competitors who had established a new standard for the category. 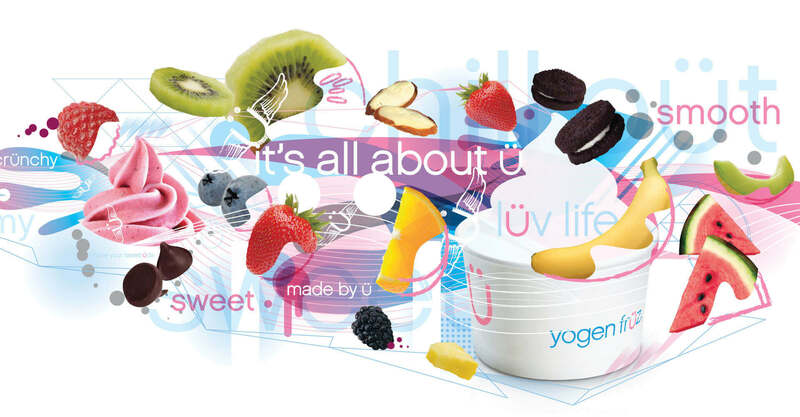 If Yogen Früz was going to compete in these markets they knew they needed to develop a healthy brand communications strategy and contemporary retail image and lose the heavy, dated look that their current assets projected. The existing logo utilized a chunky typeface with three painted cyan, magenta and yellow stripes. It was in need of a diet and a friendlier appearance to encourage consumers to feel good about making a healthy choice. The menu boards lacked dimension and appetite appeal and the retail spaces were dated and completely disconnected from the offering. Our creative team was initially retained to develop an icon that would fit with the existing wordmark. Yogen Früz had reservations about changing the logo because of the number of franchisees that would require new signage. 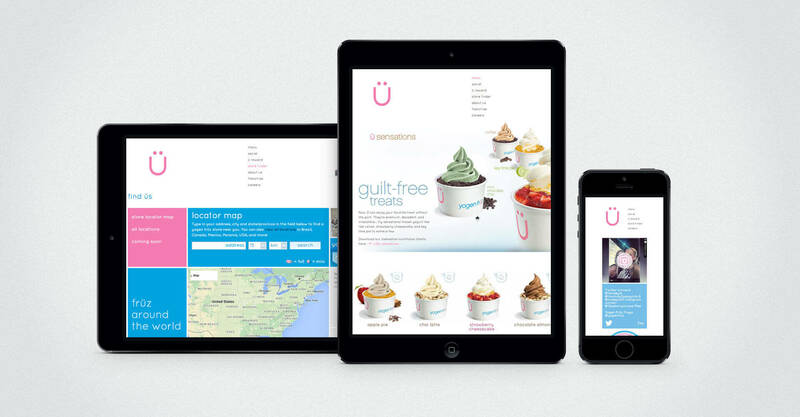 Jump worked with the team to establish the brand personality of Yogen Früz and help them understand that their current brand identity was a disconnect and a complete redesign was necessary to achieve their goals. They needed a new brand image that was reflective of the healthy nature of their products. 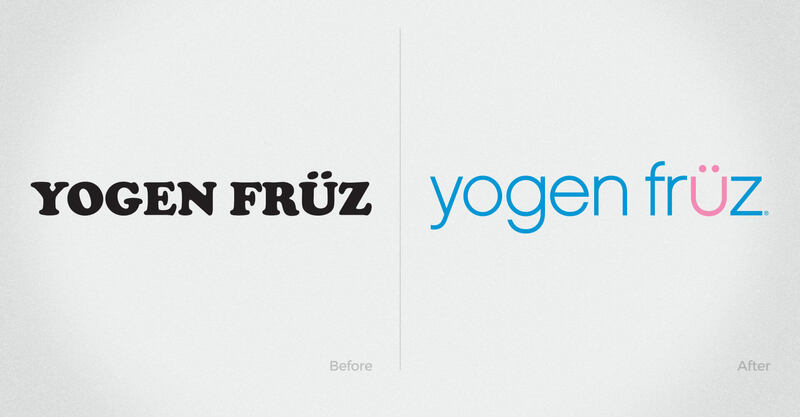 The new Yogen Früz logo leverages the natural smiling face of the “u” and umlaut to bring a warmth and friendliness that the harsh black logo was missing. Defining this single element created an icon that defines the brand, and could be used in countless other applications to promote and build the brand as fun, friendly, and full of life. The light blue colour represents the cool treat, while the slim and contemporary font feels fresh and healthy. 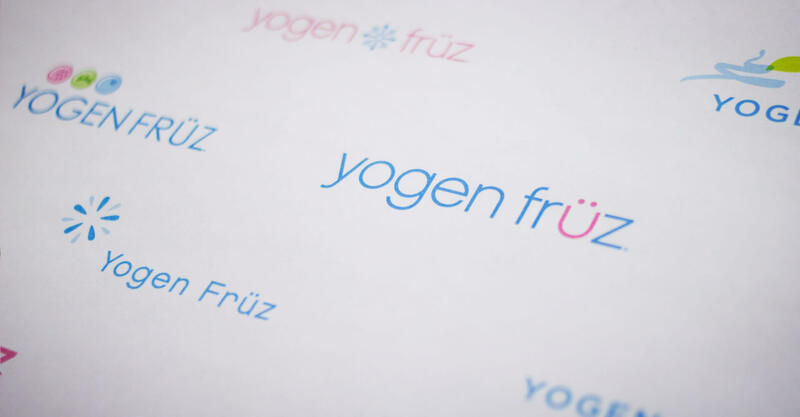 With the logo setting the tone, we then embarked on redesigning the Yogen Früz retail environment to follow suit. The previous retail spaces utilized a predominantly black facing with a dated cyan, magenta and yellow logo, and commodity driven product photography with little appetite appeal. Our mandate across all consumer touchpoints was to develop a more premium brand image that would convey the healthy attributes of their superior product line. In the environment, a clean, minimal space was required; one that would communicate the light and fresh characteristics of the Yogen Früz brand. The result was an inspiring retail environment that uses a light palette of finishes to evoke a feeling of healthiness. Glass tile and glossy panels complement the white Corian countertops, while soft pink LED accent lighting and pale blue graphics bring the space to life. The striking contrast of the colourful product photography on the menu boards with the bright whites of the interior creates great appetite appeal. This is further enhanced by the prominent display of fresh fruit toppings at the front counter. This premium brand personality was extended across all touchpoints, delivering a distinct and unified message to the consumer. 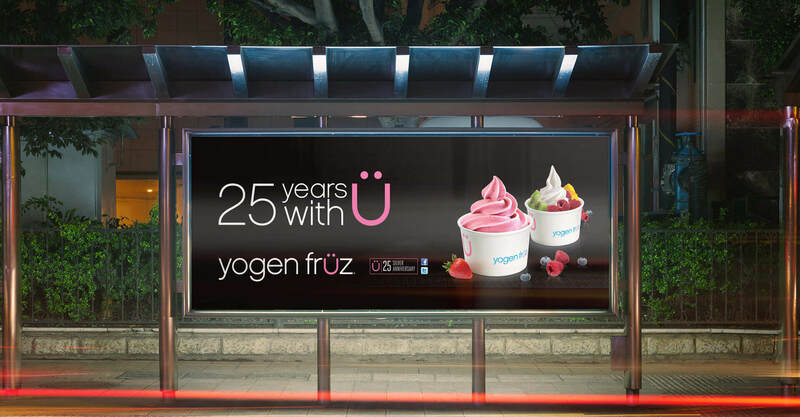 The new identity of Yogen Früz has been well-received across Canada and the U.S. since opening the first store in May of 2007. This sophisticated, elegant design has given them the opportunity to create an immediate impact and achieve a leadership position in the U.S. market. 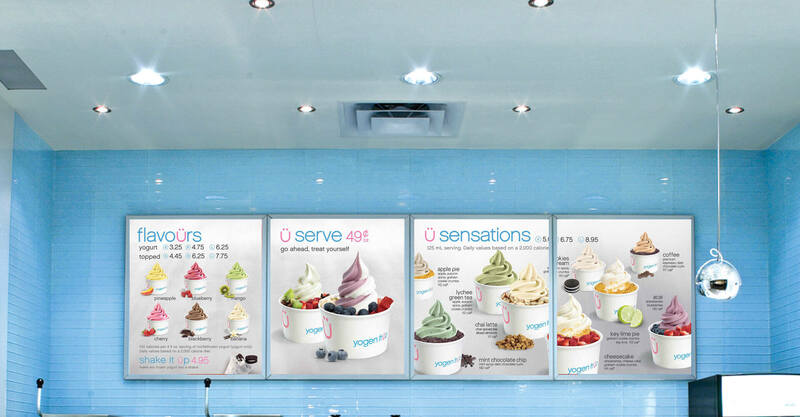 Our work on the Yogen Früz menu board design resulted in a Silver Frankie Award in 2009 in the Point of Purchase category from the Canadian Franchise Association. 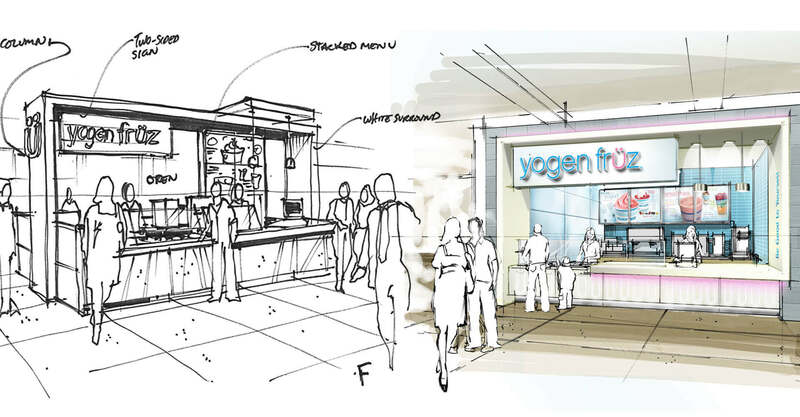 We continue to be a part of Yogen Früz’s success by working with the team to develop new store locations globally. We assist with new store designs, but also by making brand assets available to their global franchisees and their partners through the use of our proprietary online brand asset resource, BrandStandards.ca. 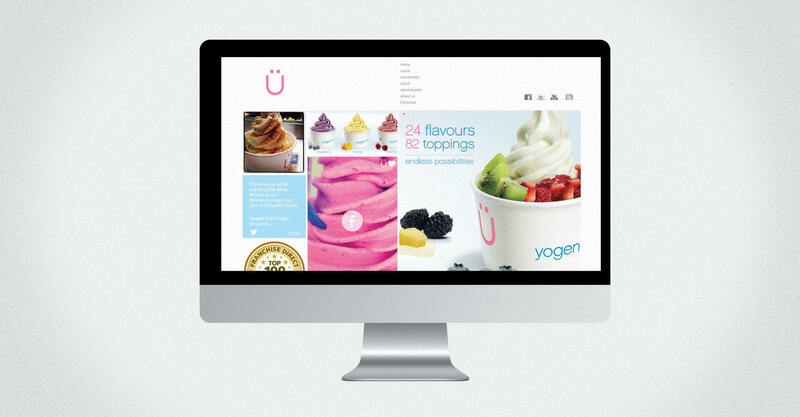 As part of the Yogen Früz rebrand program, we designed the Yogen Früz website to engage their core consumer base and elevate consumer perception of the new brand. 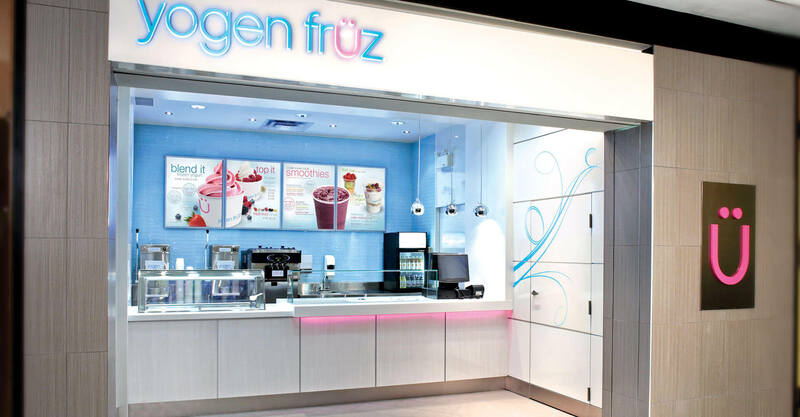 In addition, it was important for the site to communicate information about their product offering, indicate store locations, and solicit requests from potential franchisees, all of which needed to be manageable by the team at Yogen Früz. Using an open source content management system as the platform, we developed the site to accommodate both form and function. We created captivating animation sequences for the homepage, as well as each of the product pages on the site. 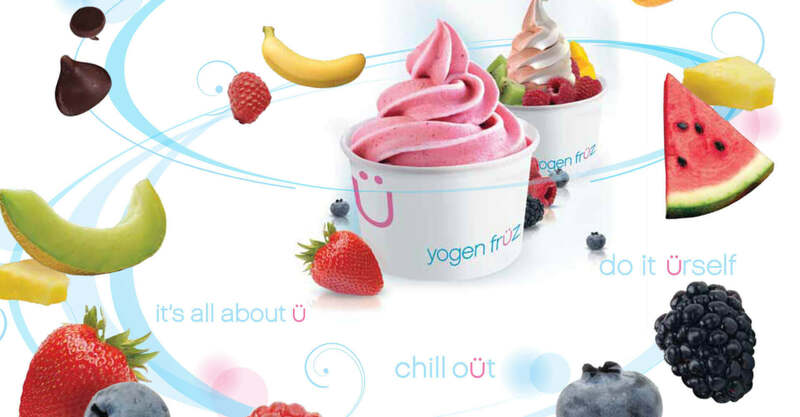 We integrated third-party social networking applications in order to extend the reach of the Yogen Früz online presence, as well as integrating a newsletter sign up, store locator, and franchisee request form. The latest flavours, promotions, and community activities also update constantly to keep up on the latest with Yogen Früz. The addition of a testimonial section offers a customized showcase of personal success stories of members of the Yogen Früz family. Post-launch we continued to work with the team from Yogen Früz to improve the site, adding multi-site functionality for their international franchisees, seasonal animations, product promotions, gift card program launch and promotion, and improved site performance by transitioning to Jump web hosting. The 2008 Yogen Früz site was recognized by the Canadian Franchise Association with a 2009 Gold Frankie Award in the internet category. Traffic almost tripled in the months after the new site was launched. In 2013, we revamped the Yogen Früz site once again to bring all brand content and information into one easily navigable location. The use of a contemporary grid design and bright colour scheme modernizes the brand image online. Following the same light visual treatment as before, the website conforms harmoniously with the core guilt-free brand message. New graphics modernize the site and capture the appetite appeal with close croppings of the fresh fruit toppings and condiments. The refresh further includes partially responsive homepage and menu page designs that adapt to varying screen sizes, allowing accessibility on mobile and tablet devices. 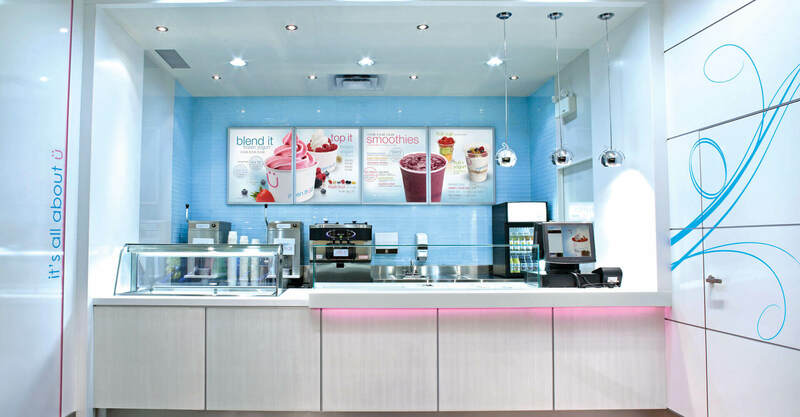 The new site also communicates store locations, menu items, Yogen Früz U-Rewards program and franchise opportunities, which are all essential to the 1,300 unit strong brand. Yogen Früz has always been focused on interacting with the communities in which they operate, which was important to capture in the new site architecture. The homepage offers portals into the latest on their social media platforms, promoting brand engagement across Twitter, Facebook and Instagram and providing a content hub for all the brand’s online content. The feeds automatically refresh to showcase the latest posts, constantly keeping viewers engaged.